Ever get a whiff of fresh skunk spray? That “skunky” smell wafting through your car vent on a country road can’t compare to the potency of fresh skunk spray—which is overwhelming, to say the least. Whatever it touches reeks so badly it has to stay out of the house until a remedy is found. 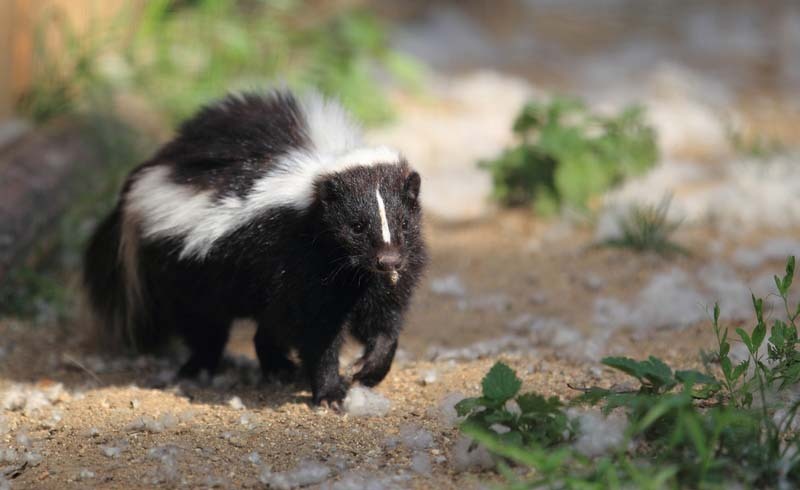 Skunk smell can linger for 2 to 3 weeks, so you will need to act—and fast—if you get sprayed. Skunk spray is pungent and oily. It’s hard to remove and the longer you wait, the harder it is to neutralize. 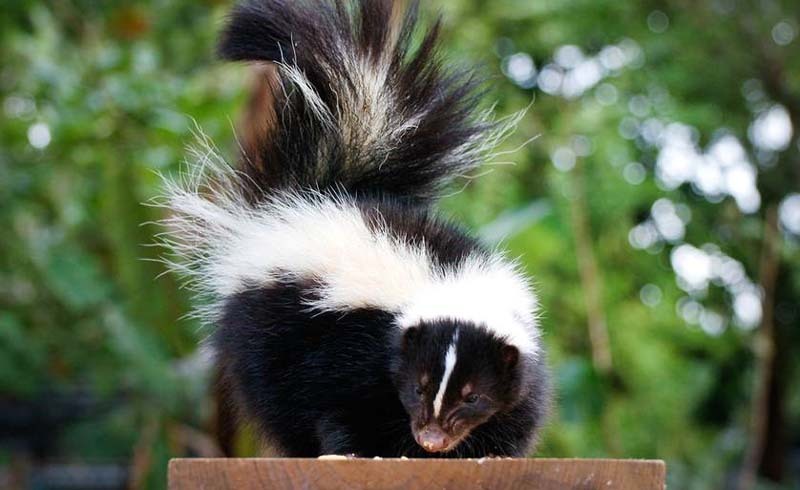 Here’s how to get rid of skunk smell. While it’s rare that a skunk would be in the house, its scent may linger if a person or pet who was sprayed comes indoors. In that case, open up windows, run a house fan if you have one, and place dishes of vinegar around the house (out of reach of pets and young children). You can also heat up a pan of vinegar on the stovetop to help get rid of skunk smell. To get rid of skunk smell on a pet, try this recipe from The Humane Society of the United States: 1 quart of 3-percent hydrogen peroxide, 1/4 cup baking soda and 1 teaspoon liquid dish soap mixed just before use—not in advance. Wear rubber gloves when applying and keep the solution away from your pet’s eyes and out of their mouth. Rinse immediately, then follow up with a pet shampoo. An alternative is to use a pet shampoo labeled for neutralizing skunk smells. Soak clothing in a solution of 1 part vinegar and 4 parts water for several hours to get rid of skunk smell on washable clothing. Rinse with water, then wash in hot water using detergent and 1/2 cup baking soda. Set for repeat rinse. Hang dry, outdoors if possible; do not use clothes dryer.